This degree provides an excellent basis for those wishing to pursue PhD studies, or for those aiming for work in the biotechnology, chemical, food or pharmaceutical industries. The degree program commences with a 10 week introductory course on research methodology, which is followed by four or five ten week blocks where you have the choice of studying subjects such as bioanalytical chemistry and food analysis, biophysical chemistry, bioorganic chemistry, biotechnology, environmental chemistry and nanoscience. 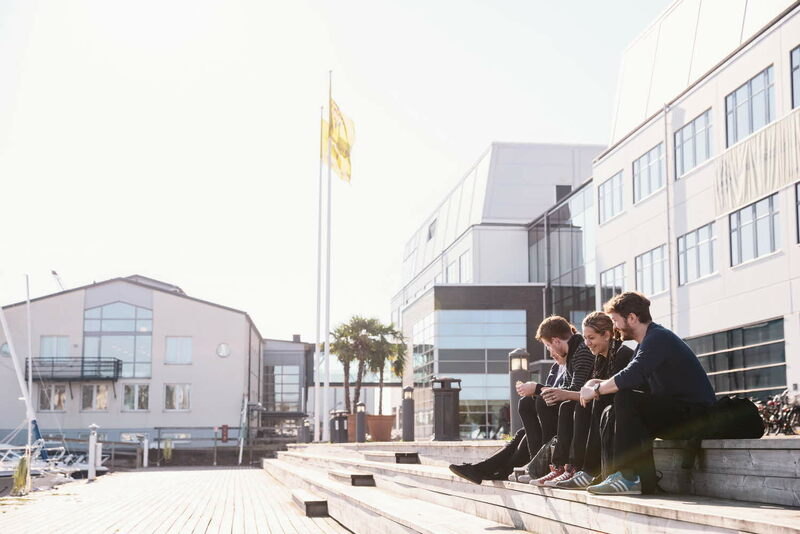 The degree program is completed with a either a 30 or 20 week research project run within one of the research groups in Kalmar. A Master´s Degree in Chemistry paves the way for a career in research or industry. We provide individually tailored degree programmes that include extensive experience working in research laboratories and with state-of-the art equipment. Many previous graduates have been successful in competing for PhD studentships at universities around the globe, and others have entered into successful careers in industry. Alternative selection: The selection of students who have applied is based on academic excellence and individual assessment. General entry requirements for second-cycle studies and specific entry requirements: 90 credits in Chemistry or the equivalent. English B/6 or the equivalent. The master of chemistry degree from Linnaeus University prepares you to meet society's and academia's needs for competence in chemistry. Our past students now work in chemistry related positions either in academic research studies, e.g. PhD studies, or in industry. "Linnaeus University prepares students to become among the best of researchers"
Isaya John Bususu from Tanzania is a student at the master programme in Chemistry. Can you tell me about your study programme? How do you like it? It is a two-year master programme, a combination of theory and a lot of practical training. Ever since I met some exchange students in Shandong University – my previous university in China – it has been my goal to pursue my further studies in Sweden. Linnaeus University became my choice because of its positive global reputation, especially in that it prepares students to become among the best of researchers. What's your impression of Sweden and the Swedes? Sweden is a good place to get an education that will help you succeed. Swedes are friendly and welcoming, interested in culture, educated (most people at least), and they respect other people's choices and are eager to learn from others. What do you do beside your studies? I do a lot of sports and hang out with friends. If I get the opportunity, I would really love to do research in my field (PhD studies). You will never regret choosing Linnaeus University, you will always get motivation from fellow students, get to enjoy the best ways of teaching, have very close and helpful discussions with your tutors and supervisors, first-class equipment available for experiments, a mixture of different nationalities, no language barriers (everybody speaks English), and you will have the chance to learn Swedish.